GameWorks is the place for happy kids and stress-free grownups! You'll find dozens of ways to challenge your skills, compete with your friends and family and win great prizes! So many games, your head will spin (in a good way)! From newbies to hard-core gamers and everyone in between. You've got to come play at GameWorks. We also offer party packages for any age group, any size party, and any budget. Our turnkey event services mean hassle-free party planning for you. 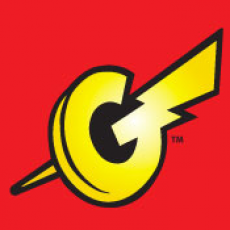 And because it's GameWorks, you know that every kid is going to have a great time!